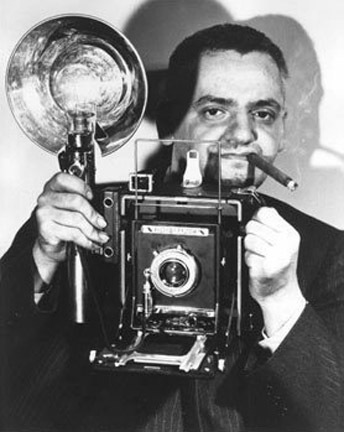 Kamikaze photographer ARTHUR FELLIG (1899-1968), better known as WEEGEE, was born in the Ukraine, emigrated with his family to New York in 1909, worked a number of odd jobs, and then became infatuated with the ‘Naked City‘ after dark. Fellig competed with the NYPD and the Fire Department to be the first arrival at crime scenes, his flashbulb camera at the ready. His aim was to get the picture, no matter how gruesome or bizarre, and sell it overnight to the press. 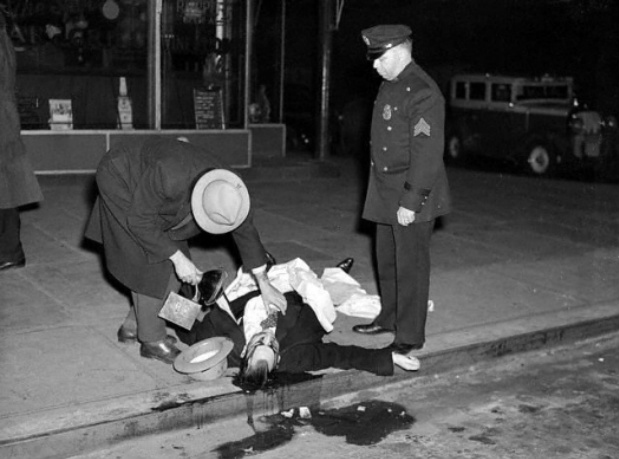 Weegee’s graphic and often lurid photographs of news events and crime scenes set the standard for tabloid journalism. 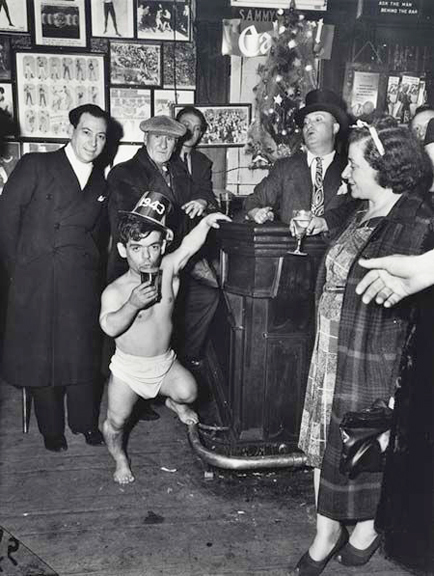 This entry was posted in History & Institutions and tagged Canada, Ontario, Ryerson Image Centre Toronto, Toronto, Weegee photographs the Naked City. Bookmark the permalink.